The Dyson Airblade hand dryer has been designed to dry hands within just 10 seconds. The fastest hand dryer. This device is HEPA filtered before it dries hands to for hygene. This product uses up to 80% less energy than warm hand dryers. What is the purpose of Aluminium Dyson Airblade Hand Dryer? The Dyson aluminium Airblade hand dryer represents a remarkable advance in hand drying technology. Research and development into hand dryers have helped us to create a more efficient method of drying hands that gets drying done in much less time than traditional hand dryers. Where can the Dyson Aluminium Airblade Hand Dryer be used? 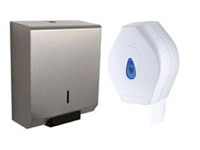 The Airblade hand dryer is a complement to any washroom that it is installed in. Places such as office buildings can benefit from having an Airblade hand dryer put in to deal with a large amount of employees using the washroom at once. Airports can also benefit from having these aluminium Airblade hand dryers installed since it cuts down the time that must be spent drying hands in the washrooms. 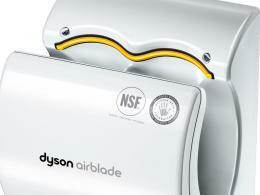 Who might use the Dyson Aluminium Airblade Hand Dryer? 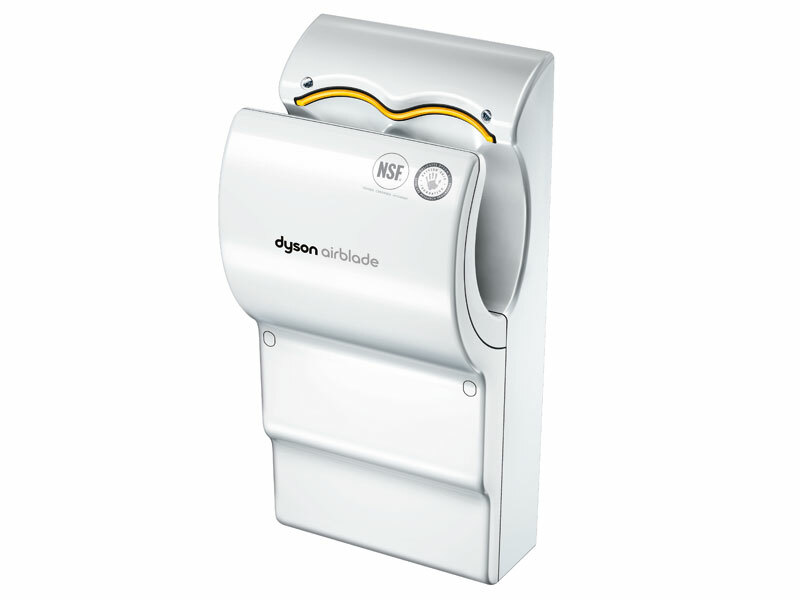 The polycarbonate Dyson Airblade hand dryer can best be used by companies that have a large number of employees at a single location. Alternatively, it can be utilised efficiently in movie theatres since moviegoers usually need to use the washroom after watching a film. The rapid drying technology of the Airblade makes it ideal for dealing with a large amount of users sequentially. The durable casing is designed from ABS polycarbonate in order to withstand chips and cracks. 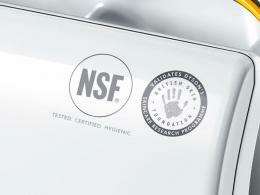 The anti-microbial nature of the Airblade hand dryer means that it can get rid of up to 99.9% of all germs. A built-in infrared sensor control ensures that the dryer only stays on for as long as it is needed, thereby conserving energy. Even the energy consumption of the dryer is minimal, utilising just a single watt of power for drying purposes. Because of this it can be as much as 80% more energy efficient than other dryers.